There are certain characteristics recruiters, hiring managers and HR directors look for when reviewing prospects for financial positions. Keep the following in mind when developing your accounting resume. How Do Your Career Goals Align With Their Needs? The level of your experience will determine if you put a resume objective at the top of the page or a qualifications summary. Most financial professionals have enough background to highlight in a qualifications summary so that at a glance, employers can determine if they need to continue reading. But remember -- you're marketing yourself. For every qualifying point you list, there should be a result or stage of expertise that benefits the employer. Demonstrate a clear direction. Many HR managers say it's important to them to see focus and stability in the resume. 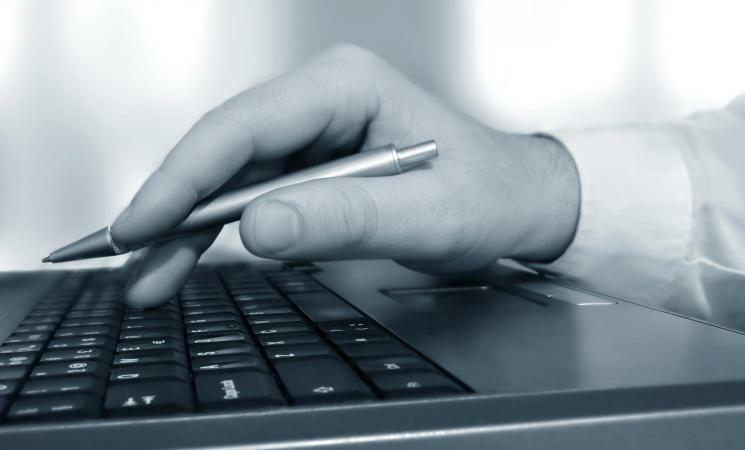 Include major industry keywords. Detail is your friend. Keywords such as procurement specialist, P&L management, Crystal Reports, SAP, GAAP and the like mean you're speaking the language your prospective employer wants to hear. Accentuate your achievements with numbers that matter. Again, comprehensive information will be important here. The example below shows one way you can showcase your accomplishments. This accounting resume example demonstrates the broad stroke of experience of the applicant and how she initiated certain measures to improve efficiency. You can download and adjust this template as needed. Note that, to keep the formatting intact, you must download and save the document first. 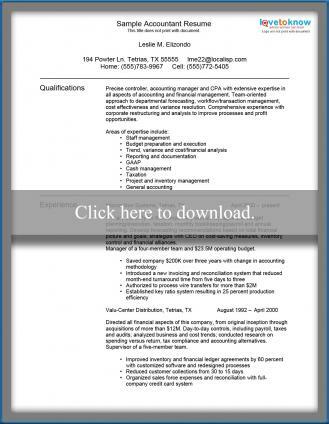 Download the sample accountant resume. What Format and Style Work Best? The reviewer allows maybe a minute to skim the qualifications before deciding on "yes," "no," or "maybe." So pick a format and layout style designed to make the important points pop. As you noticed with the example above, a functional resume allows for detail so integral to showing off the skills of a financial expert. Layout style choices fluctuate based on personal preference, but keep it simple. Print off a few examples that appeal to you and determine which will present you and your accomplishments as attractively as possible.